Recently, several philosophers have proposed fictionalist accounts of truth-talk, as a means for resolving the semantic pathology that the Liar Paradox appears to present. These alethic fictionalists aim to vindicate truth-talk as a kind of as if discourse, while rejecting that the talk attributes any real property of truth. 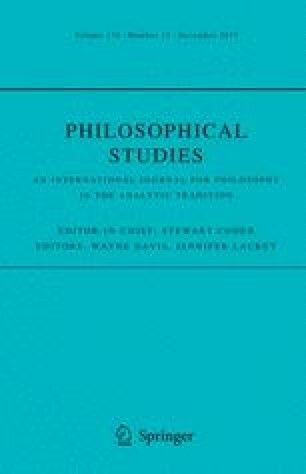 Liggins (Analysis 74:566–574, 2014) has recently critically assessed one such proposal, Beall’s (The law of non-contradiction: new philosophical essays. Oxford University Press, New York, pp 197–216, 2004) constructive methodological deflationist (henceforth, ‘CMD’), offering objections to Beall’s proposed alethic fictionalism that potentially generalize to other alethic fictionalist accounts. Liggins further argues that CMD supports a classically consistent response to the Liar Paradox—one that can be extracted from CMD, while leaving its putatively problematic fictionalist elements behind in favor of alethic nihilism. In this paper, after establishing that Liggins’s criticisms of CMD are off base, we show that the classical resolution of the Liar Paradox that he proposes is unworkable. Since his resistance to alethic fictionalism turns out to be unmotivated, we conclude that this approach is still worth considering as a framework for a resolution of the Liar Paradox.